Periodically, I get super bummed out about my horse situation. I have two elderly horses; I fully expect them to die within the next decade, because equine lifespans top out around 30 years. Both horses show signs of age: Gina crackles like a Rice Krispie for the first 15-20 minutes of a ride and sometimes struggles to maintain her canter around tight turns. Moe has a harder time keeping weight on than ever before and has lost some of his boldness over jumps. When this mood strikes me, I usually take to browsing the local OTTB organizations or Equine Now classifieds, then feeling even more bummed because a third horse isn’t a good financial decision right now. This seems like something that should have been obvious, but I was so focused on thoughts like “Oh my god, Moe is old and feeble, I can’t jump around a Training level event with him” that I didn’t stop to think if I could jump around a Training level event (the answer is no). A new horse won’t magically fix my position problems or insecurities. Gina’s neurotic behavior over fences doesn’t help me much, but reliable old Moe can help me fix my eye, my leg, and my confidence. Gina has a lot to teach me a lot about dressage- maybe we’ll improve those First Level scores at the next show! There’s a lot of work I can do before my two are retired (or dead). So for now, I’m putting a hold on my equine window shopping. There’s no need to hasten the demise of my horses, and there’s plenty of reasons to be glad I can make do with what I have. Ok, well I do have three. And number 3 is far from old. But I have Rio who is retired. And a constant time sucker with his laundry list of ailments. I have Jamp who is fine, but he’s Mr. Let-You-Down-When-You-Really-Need-Him. So there’s that. And he is 16. Which isn’t that old. But it’s rapidly approaching old. Lastly I have the Duck. Who is a challenge and a half. And while he will certainly grow up to be a useful member of equine society (hopefully) he’ll never be a show horse for me. He’s 14.2 and a half and short strided. 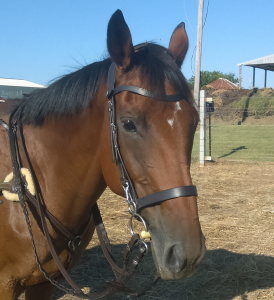 I’m hoping he’ll be a lovely beginner horse for my niece in about ohhh… 7 years? While I could probably afford to get one more financially since I board at my house, I don’t have the time for any more. I don’t have the time for the ones I have! But your hubs makes a good point. Maybe I should work on my issues with what I have, rather than buy another horse and gain all new issues. I am so glad I am not the only person who feels this way!! It’s not that I don’t love Moe and/or Gina, but sometimes it’s hard to stay optimistic. Spending the next decade or so working on my various problems isn’t SUPER appealing, but it’s probably the right move. 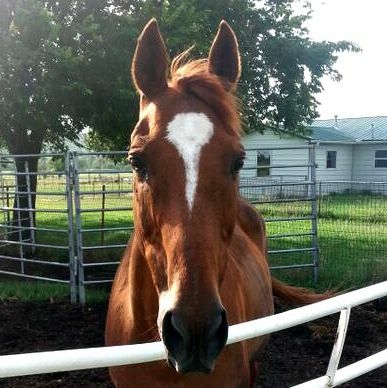 I looooove horse shopping…..it’s a sickness!….but, I’m ok with that. It IS a sickness. A terrible, expensive sickness. Shhhhhhh! Our ponies aren’t old and they’re going to live FOREVER!!!!! I can relate to this so much. Get caught up in wishes and wants but the reality isn’t as bad as I think. Way to look on the positive! That’s awesome! I try, although it is not always a fun time trying to see the positives! Paige is 15, which isn’t old, but isn’t young either. She’s so perfect for me right now because she’s helping me redevelop my confidence. I don’t anticipate she and I will be competing, but I want her to stay 15 forever! I kind of wish Gina could have stayed 15 forever! When I look at pictures of her from just a few years ago, I am always struck by how her belly is less saggy and she seems tighter (in a good way) everywhere! That is EXACTLY what I’ve been doing! i like this post a lot. it’s super easy to hide our own flaws behind green or untrained horses but facing them straight on will definitely only help the situation. plus who knows, maybe Gina will continue to excel in dressage ? Yes, exactly! Super easy to think “Oh yeah, if I had a horse that jumped well, I would have great equitation and be cruising around at Prelim next year!” when the reality is far, far away from there!! I have given up that Gina will excel at anything other than being super annoying. Where is the eye roll emoji? I worry about this and Tucker is only 11. I’m not sure having a 3 year old would make me feel any different. It’s natural to worry about the unknown… how much soundness will we get? how much longer do we have? what am I going to do when he retires? We’re so worried about the future we forget to enjoy the moment. I worry about how much more functional time I have with both horses- not that they seem to be on a rapid downhill slide, but because it’s just the nature of aging. You are indeed lucky to have 2 wonderful horses, and I’m glad you have a new found sense of enjoyment and appreciation for them. Enjoy every day with them. They always leave us too soon. It can be so hard sometimes! 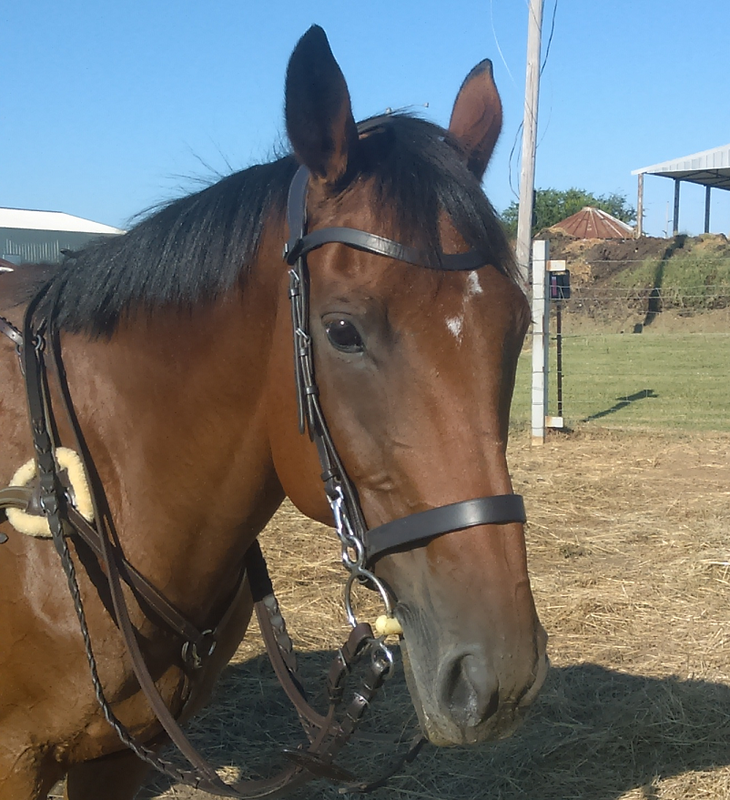 My mare is young, but she has PSSM which requires careful diet and lifestyle management. Sometimes I wonder if we would be further along if she didn’t have it, or what my riding life would be like with a horse without PSSM. I also recently switched to a different discipline that she seems more comfortable in (western dressage), and while I am having fun, I still find myself wishing from time to time that eventing or jumping were in the cards.